MELBOURNE, Australia (AP) — Ireland beat Australia 26-21 on Saturday to end a 39-year winning drought in Australia, defeating the Wallabies for the first time Down Under since 1979. The win leveled the three-match series 1-1 ahead of the deciding match next Saturday in Sydney. The Six Nations champions made eight changes to the team after their 18-9 first-test loss in Brisbane. Australia had named an unchanged 23 for the test, the first time that coach Michael Cheika had done so for back-to-back matches in his 46 games in charge of the Wallabies since taking the head coaching job in November 2014. 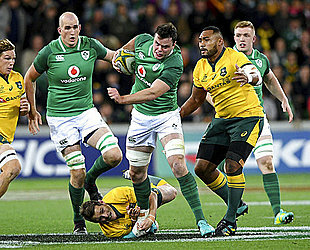 The Australians had a strong start with center Kurtley Beale running onto an inside ball from Bernard Foley only one minute into the game. But any momentum they had stalled when winger Marika Koroibete was given a yellow card after a dumping tackle on Irish fullback Rob Kearney. Ireland kicked for touch and, from that lineout, started a rolling maul leading to winger Andrew Conway, who scored where Koroibete would have been defending to level at 7-7. Australia lost veteran halfback Will Genia after 28 minutes with a wrist injury. The Wallabies trailed 16-14 at halftime after being awarded a penalty try which led to Irish prop Tadhg Furlong also being given a yellow card for collapsing the maul. Flyhalf Johnny Sexton's fourth penalty goal in the 66th minute appeared to clinch the result. 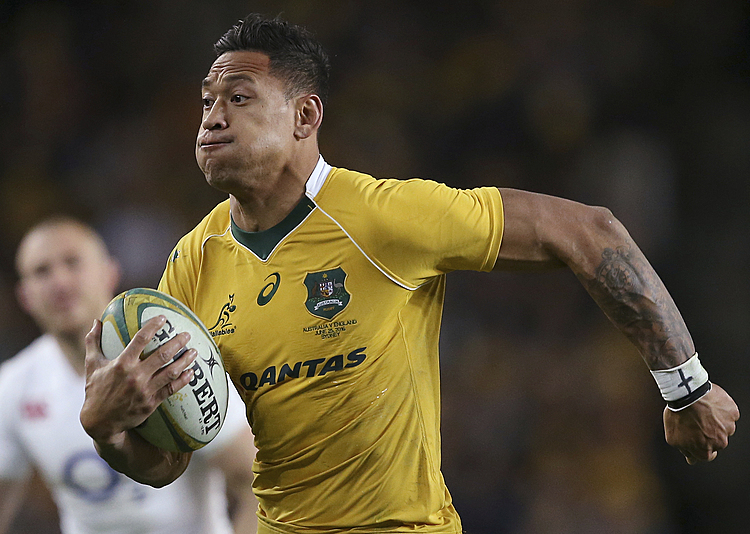 But the Wallabies gave the crowd of 29,018 a close finish by scoring in the 78th through Taniela Tupou after flanker Jack McGrath was yellow-carded.